A 6 percent larger fuel tank along with a 12 percent larger and relocated Diesel Exhaust Fluid (DEF) tank increases time between fills and simplifies front tank mounting. John Deere announces several productivity-enhancing updates and operator comfort and convenience changes to its 8R and 8RT Tractors for the 2019 model year. Additionally, a steering circuit change and recalibrated steering sensitivity further enhance operator comfort and control. All 8RT Series Tractors get a new steering pump, changes to the loop-override circuit and new, in-cab steering sensitivity adjustment. 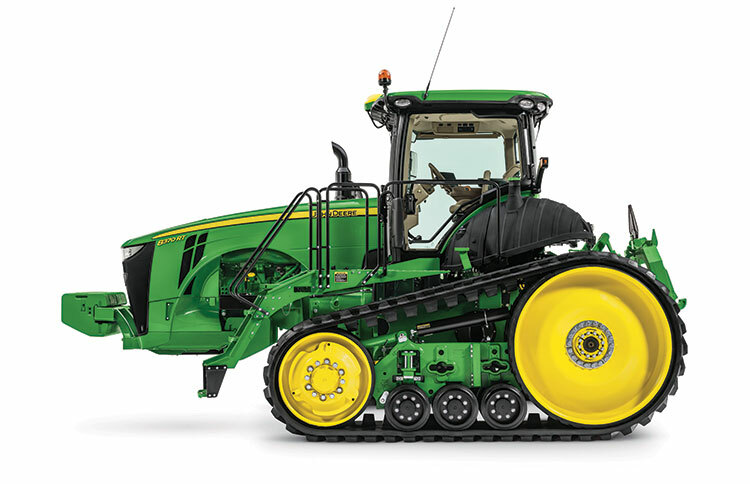 A factory-installed Generation 4 CommandCenter™ 18-1 Software update is also included as base equipment on new 8R and 8RT Tractors. Outside the cab, a redesigned fuel tank features increased capacity, while a relocated and larger Diesel Exhaust Fluid (DEF) tank enhances overall productivity. The 2019 8RT Series Tractors feature a 6 percent increase in fuel capacity, now at 212 gallons (803 L). The Diesel Exhaust Fluid (DEF) tank gets a 12 percent increase in capacity, up to 7.6 gallons as compared to 6.7 gallons (25.3 L) on earlier models. Both provide longer run time between fills. The Premium CommandView III Cab with cab suspension is standard on 2019 John Deere 8RT Series Tractors. Relocation of the DEF tank accommodates operators using front mounted solution tanks as they no longer must work around the DEF fill location when mounting their tanks. A time-saving battery disconnect switch will be standard equipment starting with the 8R/8RT Series Tractors. 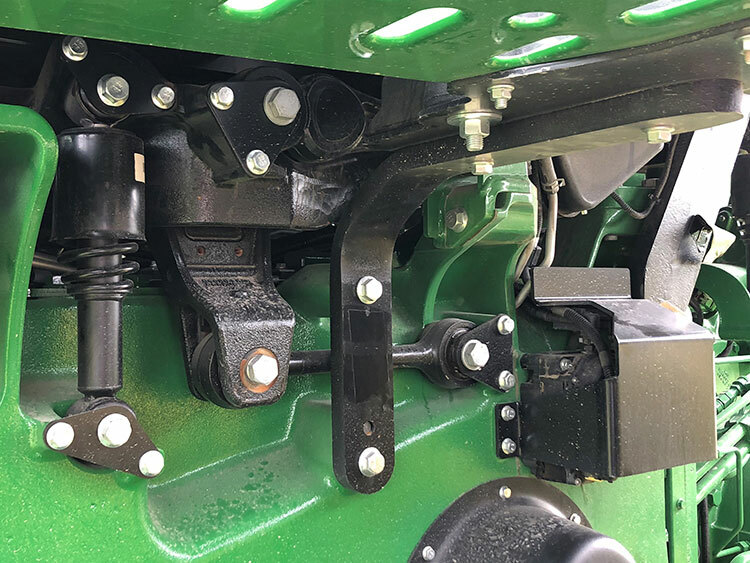 This switch allows operators to disconnect battery power to the entire tractor without having to disconnect battery cables. Model year 2019 8R/8RT Tractors are currently available to order from your local John Deere dealer with shipments beginning on December 1, 2018. For more information about the 2019 model year updates for the 8R and 8RT Series Tractors, contact your local dealer or visit JohnDeere.com/ag.